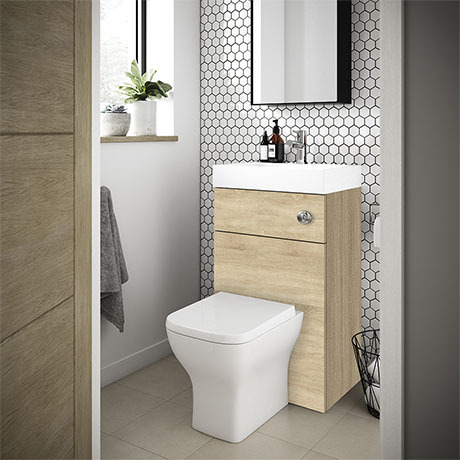 An ideal space saving solution for en-suites and cloakrooms, this Brooklyn 2-in-1 combined wash basin and toilet utilises the smallest of spaces and creates more space in your bathroom. Made from high quality materials with a stunning finish, it compliments any modern bathroom to create a designer look. Comes with a single tap hole Polymarble basin top and ceramic back to wall pan with wrap over quick release soft-close seat and cover.